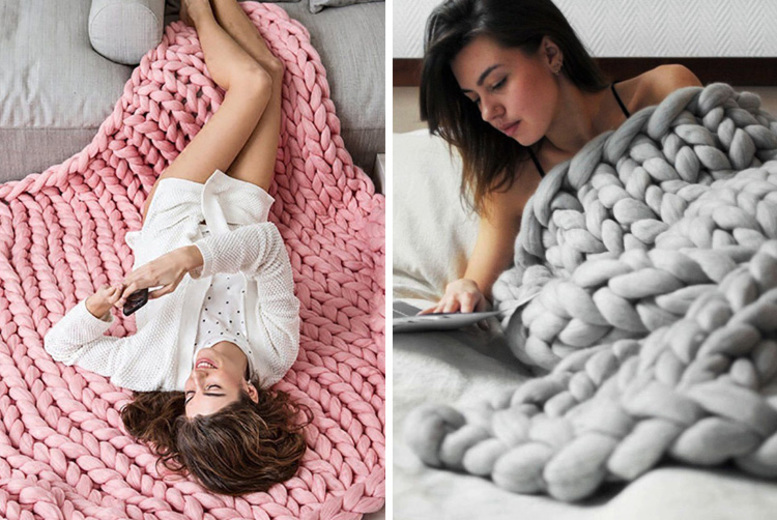 Get a hand-knitted chunky blanket. Perfect for keeping snuggly and warm during winter. Can even be used as living room or bedroom rug! Choose from small, medium and large. In seven different colours (see below).